Preparing for a job interview includes preparing to answer questions. But what questions? 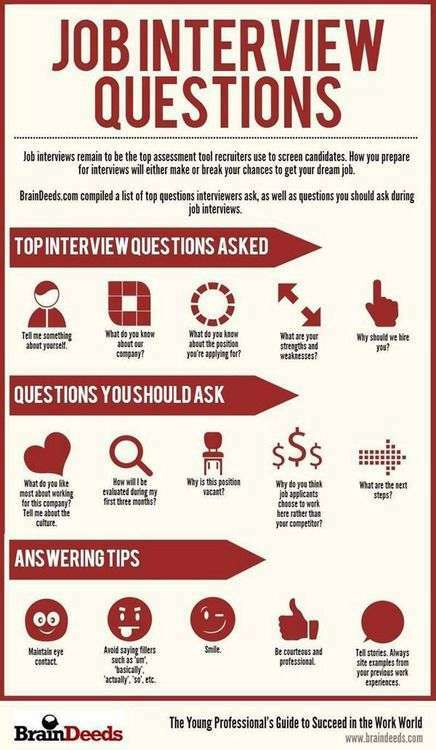 This infographic identifies the top job interview questions and questions that you should ask.